The opportunity to visit a shortwave transmitter site does not come to me often. It did during the summer of 2009, so I jumped at the chance. Along with friend Bob K5IQ, we visited the WRNO Worldwide transmitter in New Orleans and were guests of Chief Engineer Larry Thom. He kindly showed us the transmitter site, talked of the interesting technical story of the rebirth of the WRNO Worldwide transmitter site and displayed some of his ingenious technical adaptations to create a smooth running plant. Larry smiles as Bob Is amazed at the innards of the WRNO HF transmitter! Originally put on the air as the first commercial shortwave station by local New Orleans radio owner Joe Costello in 1982, and purchased by Dr. Robert Mawire of Good News Outreach in 2001, the now non-profit religious station is fed from Fort Worth Texas studios. The transmitter, still in the New Orleans suburb of Marrero, primarily operates at 7505KHz and can be heard evenings from 1200 to 1400UTC (8PM to 10PM EST). The plant’s main feature is an Electronic Corporation (Elcor) SW50/3S fifty kilowatt transmitter (see Figure 1). Built in Costa Rica, this transmitter feeds a TCI 516-3 log periodic antenna that was a mainstay of the Joe Costello rock and roll days of WRNO Worldwide. The transmitter is plate modulated and uses time-tested circuitry such as vacuum tubes, relay control and crystal oscillators as compared to solid-state modulators and microprocessor control. The system sends effectively a 3 megawatt signal around the world. Figure 1. Larry describes the Elcor transmitter. In the foreground is the control cabinet with the control relays out front for easy access. Interestingly, Larry incorporates baking thermometers to measure the exhaust air temperature. Cheap and efficient! In order to get the transmitter to work properly two interesting adaptations were required. The first was the transformation of the output impedance from 50 ohms to 75 ohms. This was done using a custom Elcor transformer as shown in Figure 2. This impedance transformer feeds a TCI high power BALUN (BALanced to UNbalanced transformer, but here run in reverse), as the TCI antenna requires a balanced feed. The BALUN is a commercial TCI unit and is shown in Figure 3. Figure 3. TCI BALUN takes unbalanced RF from transmitter and feeds the 300 ohm balanced TCI Antenna. How big is your BALUN? Another interesting adaptation became necessary, as the transmitter would often trip the main breaker when it was placed on the air. This problem was due to the high inrush current that would occur when the high voltage power supply was energized. Larry went to Grainger supply and bought high power heating elements and time delay relay. He inserted this in the primary three-phase feed to the power supply. Now, when the supply is switched on, the heating element provides a series resistance (and heats up for a moment) to absorb the inrush. After a short time, the relay would jump the element out to allow full current to feed to power supply (see figure 4). Figure 4. Heating elements on the upper right inside wall of the power supply limit inrush current. Another small problem with the transmitter was the drift of the master oscillator. Larry had Elcor build a synthesized oscillator for the transmitter to reduce the drift (figure 5). WWL-AM has their 50Kw transmitter on 870KHz near the WRNO Worldwide transmitter. Due to this proximity they send a hefty signal into the WRNO antenna and thus into the transmitter. Here these two signals can mix together to form a soup of audio in the WRNO transmitter tank circuit. A notch filter was constructed to reduce WWL-870’s AM signal (Figure 6). During the visit, Bob and I listened to Larry’s stories and snooped around the building. We spotted a Vintage Radio Labs “Globe King” 500A that is slated as an emergency backup transmitter (Figure 7). It is rumored that this classic redesign of an older transmitter marketed in the 1990’s was a poor copy of the original 1950’s era World Radio Labs Globe King transmitter. Larry states that this transmitter is serial number 1. Only a few were built. Figure 9. The Official FCC-approved Reader’s Digest reference modulation monitor! Figure 10. The audio and control rack. Audio is fed via a T1 line from Texas to the Telos ISDN decoder, then to the Optimod 9000A audio processor (an original from the Joe Costello days). The remote control is a Burk unit that allows the studio folks in Texas to control the transmitter. Figure 11. The Marrero, LA transmitter shack heard ‘round the world! An article I wrote on the re-birth of WRNO Worldwide for the August 2007 Monitoring Times magazine, and the fact that I was on vacation in New Orleans prompted this visit. It is always fun to visit a transmitter site to see how things are done. Thanks to Bob K5IQ for driving! Wow–many thanks for sharing your tour of WRNO with us, Dan! My-oh-my how I’d love to have that 14db gain log periodic at my disposal! Great facility! This entry was posted in Broadcasters, Guest Posts, International Broadcasting, News, Shortwave Radio and tagged Dan Brown (W1DAN), Shortwave Broadcasting, Shortwave Radio, Tour of WRNO, WRNO, WRNO Shortwave, WRNO Tour on August 23, 2016 by Thomas. “I’ve sometimes been challenged trying to find exactly the right word to translate from Turkish into Chinese,” recalled Wenjun Liu, a 37-year-old reporter working at the Turkish Broadcast Service of China Radio International (CRI) in Beijing. “Thank God, we have Turkish native speakers working here to rush to our aid,” she added. Like many Chinese nationals who were assigned to work at the Turkish service, Liu has assumed a Turkish name for herself — “Damla.” She works at the world news desk and was working on a story about Prime Minister Recep Tayyip Erdo?an’s visit to Iran in late March. Like many of her colleagues, Damla is a graduate of Beijing Foreign Studies University, a foreign language and international studies university in China. CRI has been broadcasting in Turkish since October 1957 using the shortwave frequency. It has a one-hour-long program every day, repeated four times during the day in different time slots. It uses Internet broadband to spread the word and has also used local FM stations in ?stanbul and Ankara to reach its audience since 2010. With unprecedented growing ties recently with Turkey, China is set to promote its culture in many areas, including broadcasting more Turkish content on the CRI. Yongmin Xia, the director of the Turkish service, revealed to Sunday’s Zaman that the CRI has decided to boost its presence in Turkey. Going by the Turkish name Murat, Xia said the CRI has chosen ?stanbul, the largest city in Turkey, to launch a radio station. “We are going to start with five people and hope to reach 15 in this service in ?stanbul,” he said, adding that the stronger presence would help develop bilateral relations further. “Our common values are more than the differences between the Turkish and Chinese peoples,” he emphasized, pointing to a strong adherence to traditional values in both cultures. “Turks and Chinese share similar traits such as hospitality and warmth in human relations,” he added. There is no easy way to rate how popular the Turkish service at the CRI is since it airs in shortwave, but the managers at the CRI say they have some idea by looking at regular mail, e-mails and website impressions. “Our Turkish website has 600,000 clicks on a monthly basis,” Xia explained. 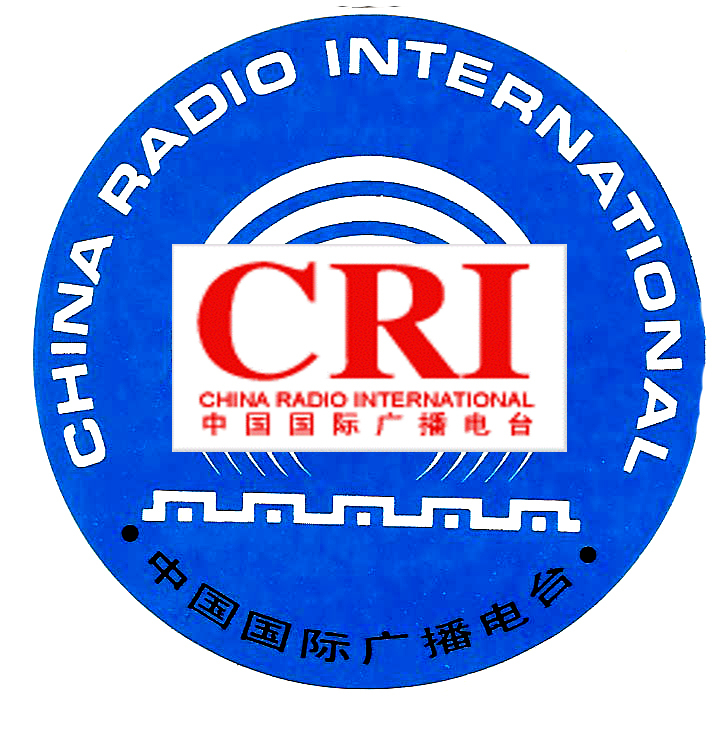 Overall, the CRI received more than 3 million letters from overseas listeners in 2011. Though CRI has an enormous broadcasting presence around the globe (and it keeps growing), I would certainly question the listenership numbers based on the methods they use to quantify them. If by 600,000 monthly website “clicks,” they mean “hits,” their numbers may be overly generous. Many of “hits” are associated with search engine and other bots that routinely crawl the web. A more telling number would be either web page views or unique visitors. Frankly, the 3 million letters from overseas listeners is also hard to believe, though I do imagine they receive a hefty amount of correspondence. This entry was posted in Broadcasters, News and tagged China Radio International, CRI, CRI Turkey, Shortwave Broadcasters, Shortwave Broadcasting, Shortwave Radio, Turkey on April 11, 2012 by Thomas. Radio World: Whatever Happened to Shortwave Radio? This is one of the best articles I’ve read recently about the state of shortwave broadcasting. It features authorities on the subject like Andy Sennitt, Larry Magne and Kim Elliott. Moreover, it highlights the historical appeal and the challenges shortwave broadcasts face in the internet age. Click here to read the full article on Radio World’s website. This entry was posted in Articles, News and tagged Andy Sennitt, Kim Andrew Elliot, Larry Magne, Radio World Magazine, Shortwave Broadcasting, Shortwave Radio on March 12, 2010 by Thomas.